Every bridal shower needs favors. 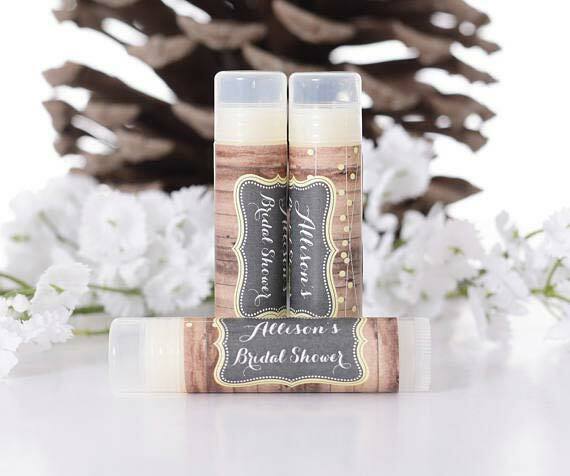 Bridal shower favors are little gifts to say thank you to everyone who attended, and they can be a keepsake of the special event. There are so many things you could give out from lip balms to plants. 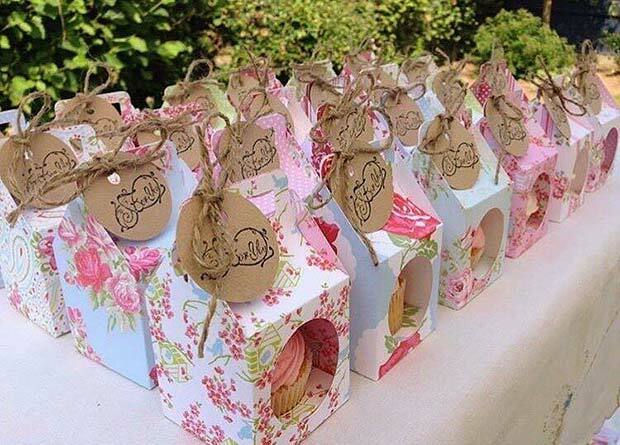 To help you out we have found 21 bridal shower favor ideas. We have something for everyone from unique favors to beauty gifts. First on our list is this super cute packet of seeds. 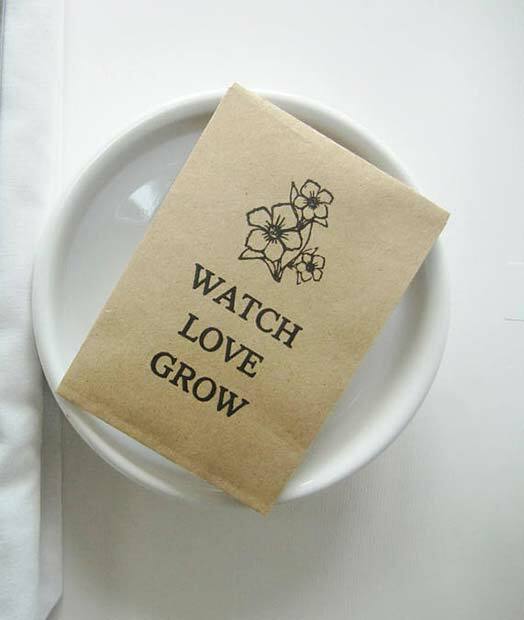 The seeds can be personalized and read “watch love grow”. It is a great idea because the favor will last long after the shower is over. You can buy these seeds and others like it from Etsy shop IzzyandLoll. 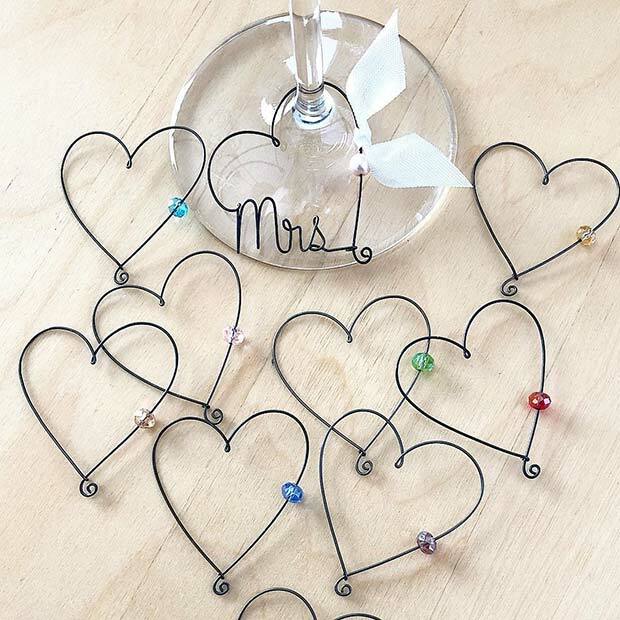 Next, we have some gorgeous wine charms. The charms are shaped like a heart and have different color crystals. These are cute and unique. You can choose a color charm to suit each guest. If you like crafts and jewelry making, you could even make some of these yourself. If you want creative favours, then this next idea could be for you. Here we have a mint that has been placed in a personalized packet. 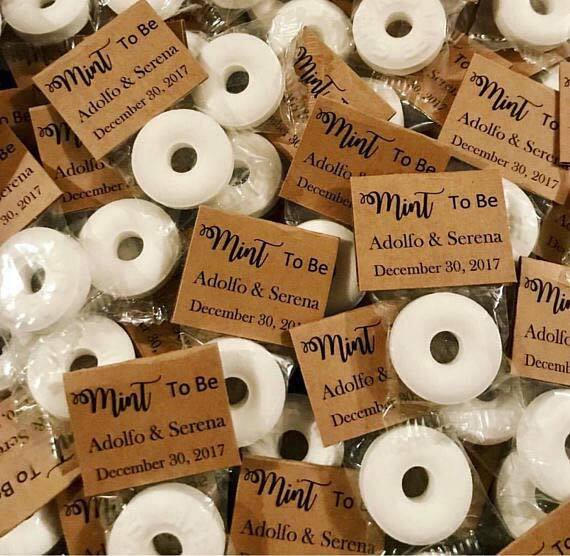 The packet reads “mint to be” with the bride and grooms names along with the date. This is a fun and quirky idea that all the guests will love. You can purchase these from Etsy store FavorsOfLove. Everyone loves candles. So, why not give candles out as favors. With candles you can choose from many different colors and smells. 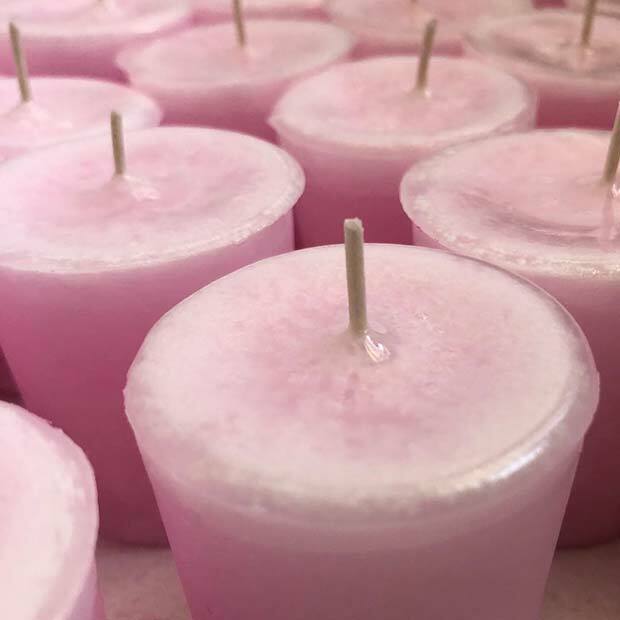 These pink candles would be a beautiful choice. The soft pink color suits the romantic theme of a wedding. It isn’t just the favor you have to think about but also how you will present it. You could choose a beautiful gift box like this one. 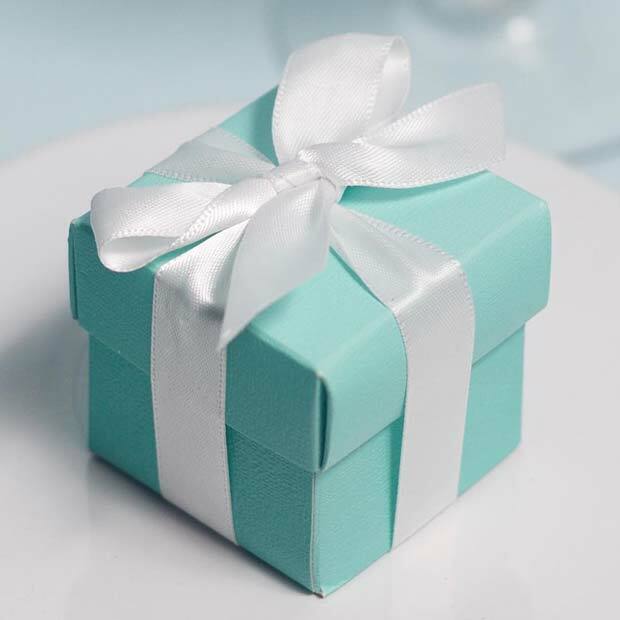 The blue box and white ribbon looks stylish and luxurious. You can choose similar boxes in different colors with different ribbons. Our next favor idea are these cute cupcakes in boxes. Not only do these look beautiful but every guest will love the delicious treat. You could choose any cake flavor and color with any frosting. If you want a DIY project, then you could make the cupcakes yourself. 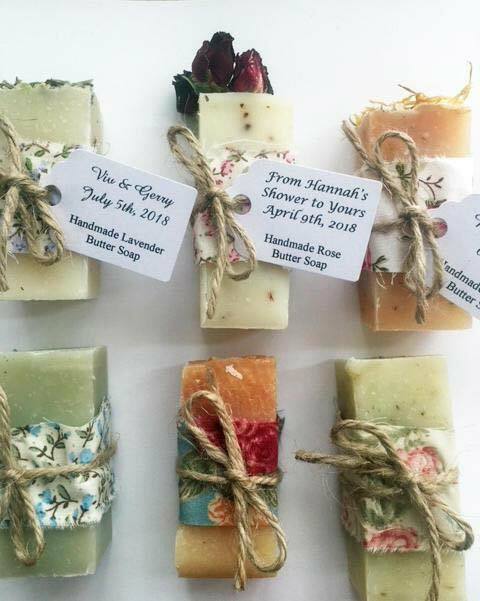 Handmade soap makes a beautiful gift for any occasion, so you could give soap out as a bridal shower favor. 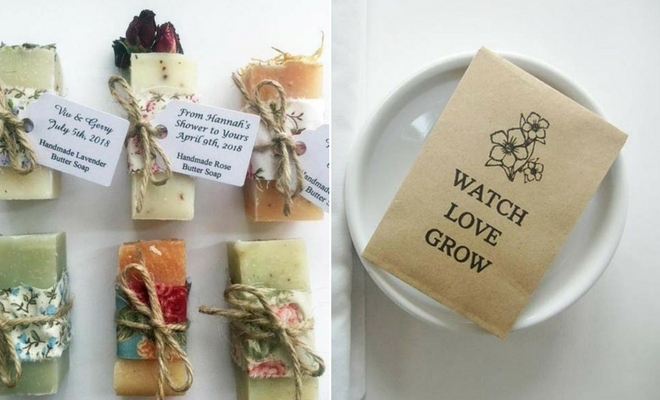 These handmade soaps from Etsy store Melysweddings would be perfect. The beautiful soaps have personalized labels that read “from my shower to yours” and can be made with different ingredients. Give the gift of wishes with a wish bracelet. These bracelets have a flower charm which sits on pink thread. The recipient wears the bracelet and makes a wish, then when the string has worn away your wish should come true. This is a unique, fun and beautiful gift. 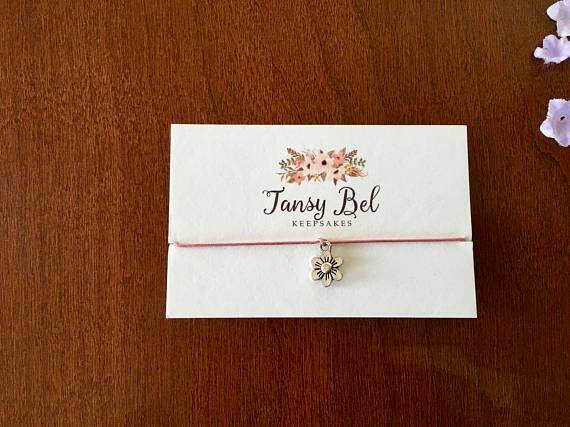 You can purchase these from Etsy store TansyBel. Next, we have personalized lip balms. You can buy personalized stickers for any lip balms. You can buy the stickers from Etsy store LabelsRus and you can also purchase the actual lip balms to. This is a simple but great favor idea. All the guests would love one of these. Who doesn’t love champagne? 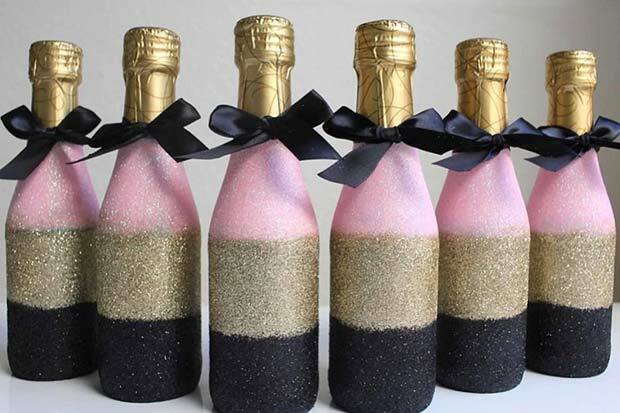 Our next idea features mini champagne bottles that have been glammed up. You can buy many different glittery designs. These would be great to give out and if you like DIY projects you could even make these yourself.